Filmmaker Pan Nalin travels to the Kumbh Mela, one of the world's most extraordinary religious events. There, he encounters remarkable men of mind and meditation, some facing an inextricable dilemma; to embrace the world or to renounce it. 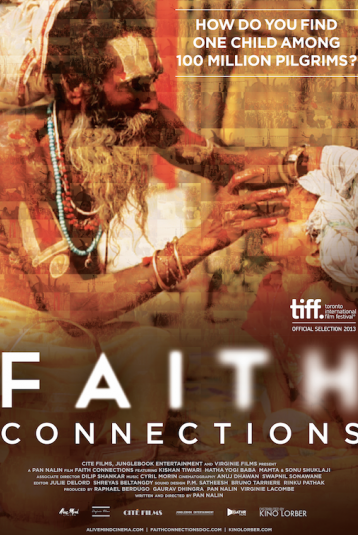 FAITH CONNECTIONS explores such diverse and deeply moving stories such as those of a young runaway kid, a Sadhu, a mother desperately looking for her lost son, a yogi who is raising an abandoned baby, and an ascetic who keeps his calm by smoking cannabis - all connected by one faith against the spectacular display of devotion.